Like many people, I've been waiting for Glossier to release the barely-there mascara of my dreams. Given that they registered a trademark for Lash Slick quite a while ago, I expected it to release much sooner. The company insists that it took so long because they went through 248 formulations before settling on this fiber mascara version; that might be true, but holding off was also savvy marketing that ensured consumers would be ecstatic when a mascara inevitably dropped. 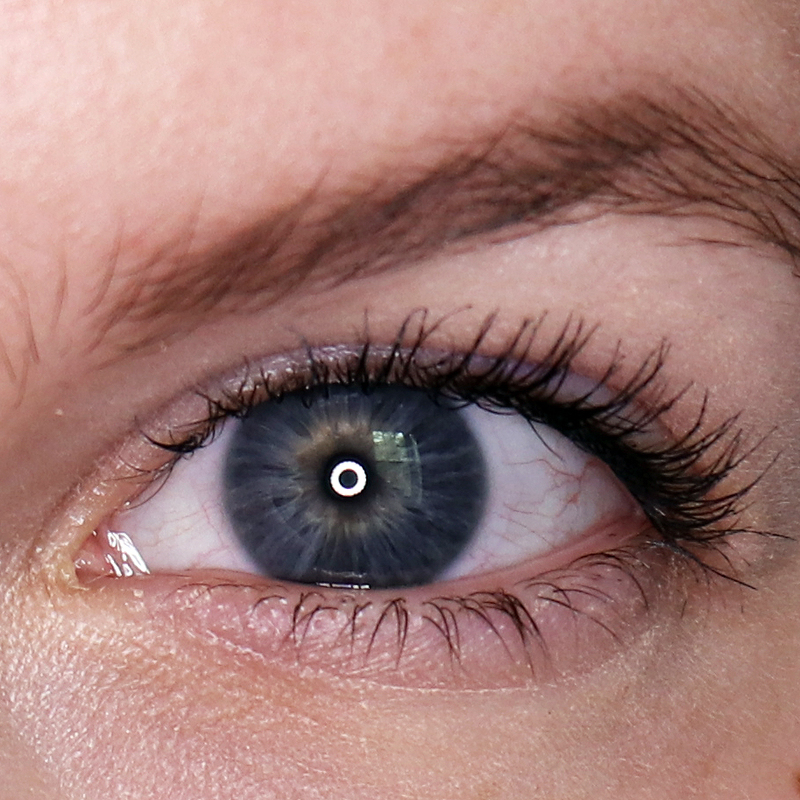 Now Glossier can post advertisements rhapsodizing that your eye makeup is "finally complete." Lash Slick is described as "the perfect everyday mascara." It promises to curl, lengthen, and define your lashes with a smudge-proof, flake-free fiber formula that's water-resistant, all for the reasonable price of $16 a tube. Founder Emily Weiss said that she basically wanted to remake the Kevyn Aucoin tubing mascara without "the tubes" (girl, what? ), but really, this reminds me of Japanese mascaras like Kiss Me Heroine Make Long and Curl. Fibers are designed to cling to the tips of your lashes and provide the fluttery, feathery, lengthened look so favored in Japan; the intent seems to be the same with Lash Slick, which will supposedly give you a "lash extension effect." To give you that effect, Glossier chose a rubber wand with stubby bristles that comb through the lashes and deposit the tiniest amount of product at a time. Frankly, I hate most rubber bristle wands because they tend to be so pokey and never give me the effect I want. 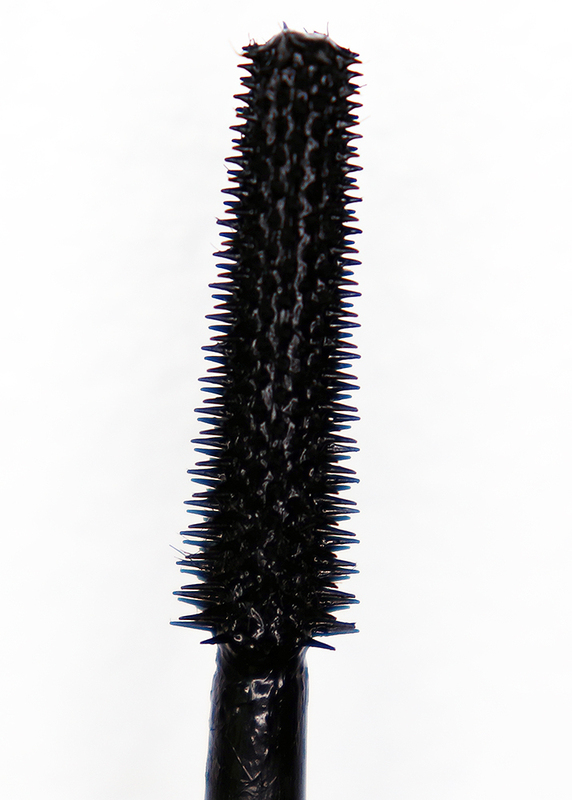 This one doesn't bother me, though, in large part because the bristles aren't sharp at all. Also, they put a damn good stopper in the tube; it pulls off every bit of excess product barring the teeniest dab on the tip. I hate having to spend 30 seconds wiping my wand off on the lip of the tube, so I appreciate a good stopper. Why do I mention my mom? Well, friends, she also wanted a tube of Glossier Lash Slick. And since I love overly detailed reviews almost as much as my mother, I had to get her some and ask her to test it, too. 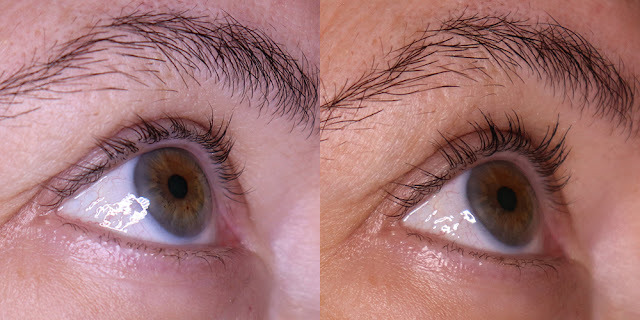 The above photos show my lashes before and after two layers of Glossier Lash Slick; I apply by wiggling the wand at the roots of my lashes, then working my way up. The formula is very thin, but it's not watery or messy, so I don't make quite as much of a mess on my lids during application. As you can see, Lash Slick definitely makes a difference, providing a bit of length and a rich black color. I don't think you get actual volume from this mascara, per se, but if you press the wand in to the roots like I did, it does give the illusion of slightly thicker lashes. 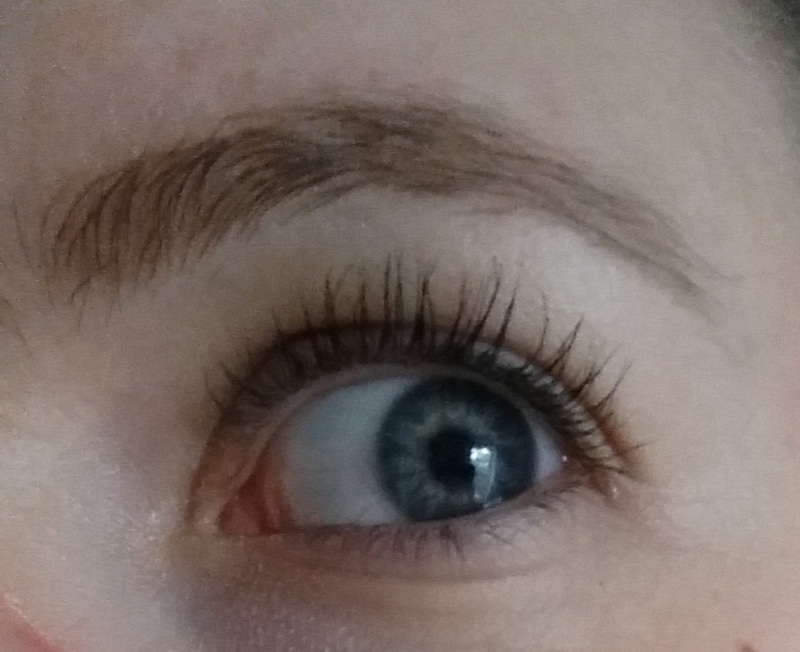 To further test Lash Slick, I did something I normally avoid: I put mascara on my lower lashes. Guys, I have very dark undereyes--see the above concealer-free photo for proof. And everything freaking smears on me! The last thing I want to do is draw attention to the area or make it darker. But I know most people don't have those hang ups, so I gave it a shot, and it actually looks pretty damn good. I'm too lazy to do it on the regular, but if I want a bottom lash mascara, I'll reach for Lash Slick now. Holy macro fine lines, Batman! My initial application looked a bit more "made up" and obvious than what I've come to expect from Glossier products. So the next time I applied it, I did just one coat. As you can see in the photo above, this will give you more of a "tinted lash" sort of effect. You get slightly less length and "oomph" in exchange for a more defined, natural look. Overall, two coats works well, but I think I prefer this one coat look. Broadly speaking, I'm not getting my usual look here: there's some length and decent definition, but very little volume. That said, it's a look I like, especially for light makeup days, and I appreciate that I can slap this mascara on in less than a minute. My mom also did one coat of this mascara, but unlike me, she avoids wiggling the wand in to the roots of her lashes and instead just swipes the brush up as quickly as she can. She still got darker, more defined, slightly lengthened lashes, they just don't look any thicker. Again, this isn't really a volumizing mascara, so I'm not shocked. While my mom liked that Lash Slick wasn't clumpy or goopy, she was sad to see that they didn't release a dark brown shade. That's probably my biggest critique of Lash Slick as well; I never wear brown mascara, but a lot of my blonde friends prefer it over stark black. She also told me that while it didn't make her lashes droop, it didn't make her curl last longer than it normally does. I've said it before and I'll say it again: if you want a mascara that will hold your curl, you'll probably want something waterproof, and/or you should check out the Japanese mascara market. Both my mother and I were impressed by the wear of this mascara. 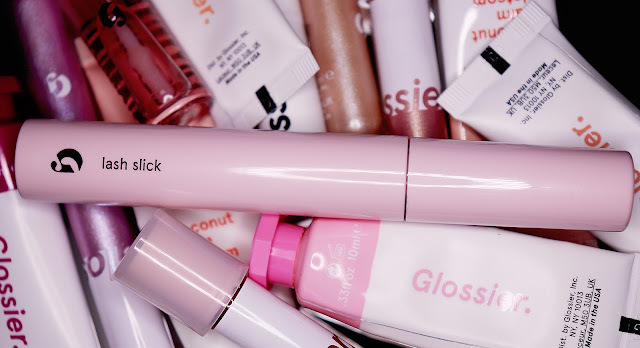 Everything seems to flake and smudge on my watery eyes, and technically speaking, Glossier Lash Slick wasn't all that different. Around the 8 hour mark, I noticed some flakes. In comparison to the usual giant black dots I get, however, these were minute, barely-there flakes and the occasional stray fiber; I boxed them in in the above photo so you could see them better, and you'll still probably have to enlarge the picture. These flakes were easy to remove with a swipe of a brush or a finger. I got even less flaking when I stuck to one coat. I've yet to experience any smudging, and that's pretty impressive given how humid it is in Pennsylvania right now. So did I get zero flaking or smudging? No. But I'd say this is about as little as I'll ever see with lashes and eyes like mine. Last, but most certainly not least, there's the removal. 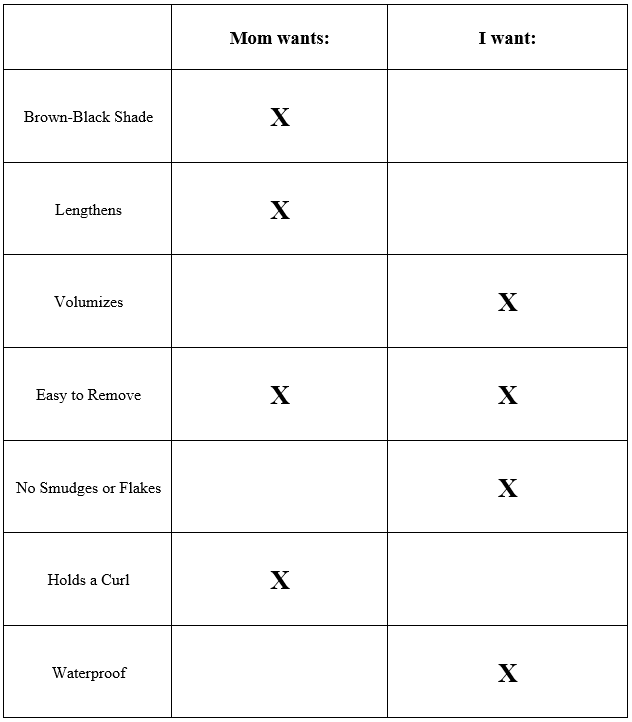 Because I deal with black specks on my cheeks and gray smears around my eyes so much, I usually favor waterproof formulas, since their waxier base tends to give them a longer wear time. As a result, I often have to soak my eyes with a bit of oil to remove all of my mascara, which has never really bothered me. I find my skincare routine relaxing. My mom, by contrast, considers skincare a tedious but necessary part of good grooming akin to putting on deodorant. The faster she can get her makeup off at the end of the night, the more she likes it. Glossier promises that you can remove Lash Slick with warm water, and that held true for us. I tested both a Makeup Eraser and micellar water on this, and they removed the mascara entirely with minimal tugging. My mother just used her usual Cerave face wash with some warm water, spending all of five seconds rubbing at her moistened lashes, and again, it came off easily. My verdict: Lash Slick was worth the wait. It's a solid mascara that does what it says on the tube: lengthens, defines, doesn't make a mess, and comes off easily. If that's the look you're going for, then Lash Slick could be the mascara for you. Glossier products are available at their website. If you would like to support small beauty bloggers, consider using their Glossier affiliate link for your first purchase; the affiliate link I used here is from Auxiliary Beauty. I purchased these two tubes of Glossier Lash Slick using store credit earned via affiliate link purchases. I am not a Glossier Rep and my reviews are always honest. I'm wearing Lash Slick for the first time today, ad I'm quite happy so far. But we'll see - I'm giving it a 17 hour wear test today, complete with a wedding to go to. Every mascara producer should be going to out to get that stopper and putting it in their tubes. It's awesome. I'm so damn happy about that stopper. I just tap the tip of the wand on the rim of the tube and it's good to go--so quick and easy. And I agree, it's odd that they released Lash Slick in just one color, especially since Boy Brow comes in multiple colors. I always buy black mascara because my hair and brows are dark, but if I were a blonde or redhead, I'd probably prefer brown-black. I figured, "Hey, I've got more than enough store credit to replenish my favorites and try the next dozen releases free of charge, so why not give somebody else a chance?" Regarding your query, I have thick, wavy hair and long, thick, straight eyelashes that are very hard to curl....dark roots with blonde tips. 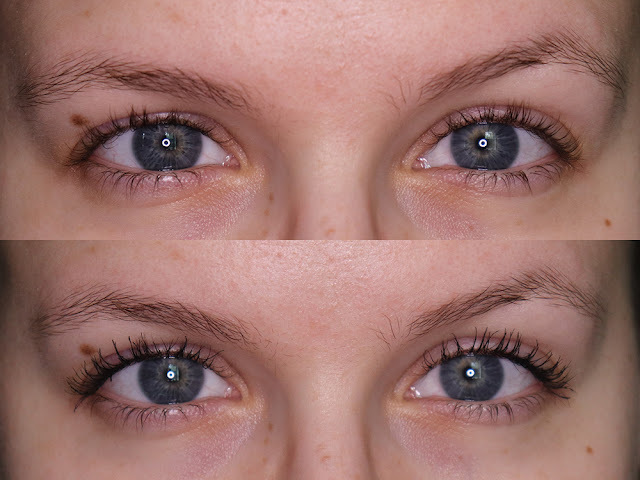 Which Japanese mascara holds a curl and is not difficult to remove ??? I haven't used a lot of Japanese mascaras and I don't have much trouble holding a curl, so unfortunately, I'm not much help there. Hi there, I have similar hair/lashes (my lashes are just like my hair: some are straight, some curled, some in between, none of them like to change their natural degree of curliness!). I like the Boots No. 7 tubing mascara pretty well (if you’re in the UK it’s the one in the gold tube; not sure about other countries) for ease of removal and holding curl. It does a fairly natural, fluttery look well (though I’m considering trying the Glossier one to see if I can go even lighter). Full n' Soft is still my go-to for fluffy volume. You could always try applying this with a different want to see if it gives a more voluminous look!